RARE SLIDING SIDE DOOR UNIT! SHELVING AND LADDER RACKS! This van is as close to new and nicely equipped for a LOT less $$$$. Full factory warranty and a nice contractors package. 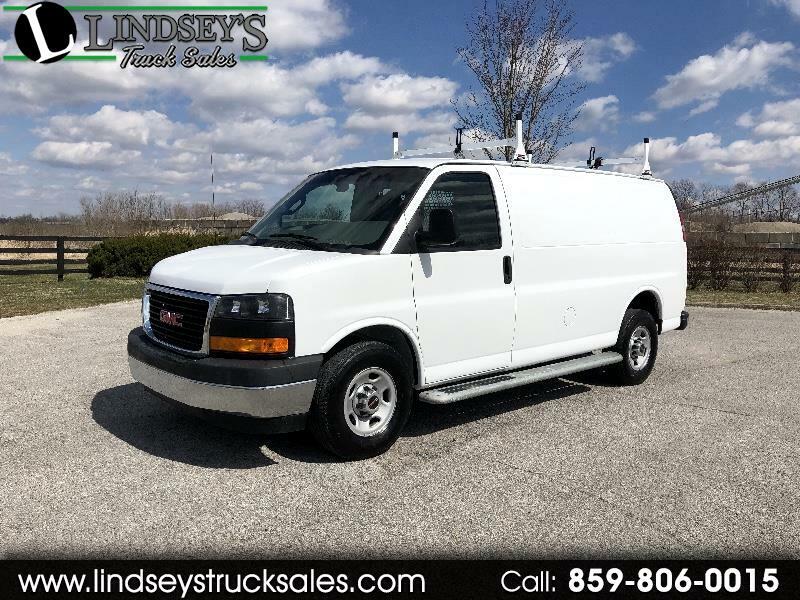 Van features include 4.8L V-8 engine -- 3/4 ton chassis -- swing out side access doors -- AM-FM stereo -- cloth bucket seats -- tilt steering wheel -- cruise control -- power windows and locks -- vinyl floor mat -- chrome appearance package -- steel wheels -- cab divider -- rear cargo mat -- driver and passenger side bin package -- ladder rack -- aluminum side steps and more. We have additional shelving and other equipment to fit this van should you need it. Remainder of factory bumper to bumper warranty.